Mary Bryson, a professor with UBC’s faculty of education, has received considerable online hate mail after their panel debate on academic freedom and the use of gendered pronouns with University of Toronto professor Jordan Peterson. 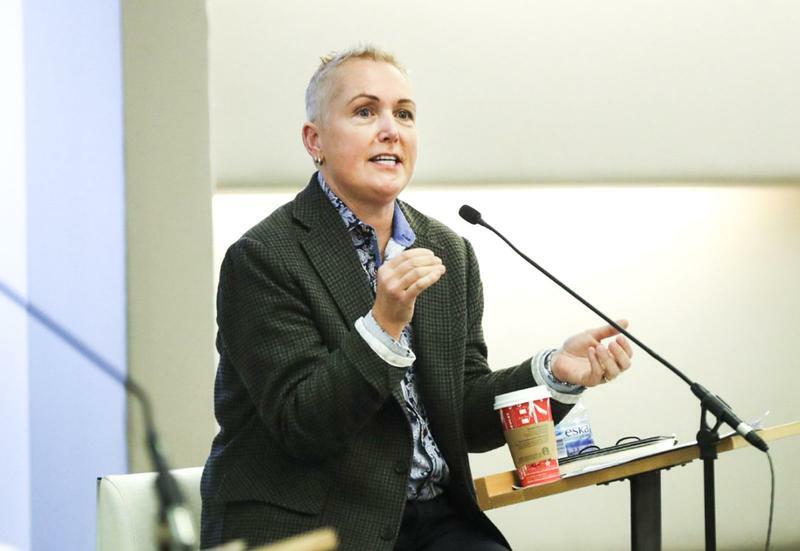 The academic forum was held at U of T and discussed Bill C-16 — which adds gender identity and gender expression to the list of prohibited grounds of discrimination in the Canadian Human Rights Act — and the gender provisions of the Ontario Human Rights Code. Throughout the panel, Bryson criticized Peterson’s claims as damaging and having no scholarly basis. Peterson asserted that there is a natural gendered divide in society, and that political correctness is damaging — he argues that free speech should include his right to deny using gendered pronouns. “The level of post C-16 debate hate mail and violent threats in my inbox is extraordinary,” said Bryson in a written statement to The Ubyssey. 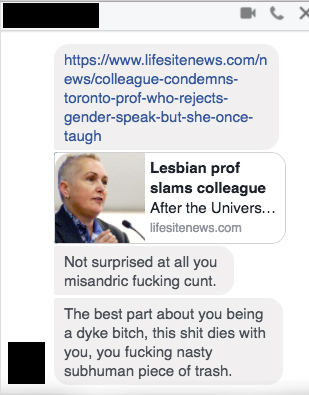 Bryson also described a large number of aggressive and hateful comments, regarding subject matters of “violent transphobia, homophobia and misogyny,” posted on the live stream of the forum, social media and on an opinion article written by National Post journalist Christie Blatchford. 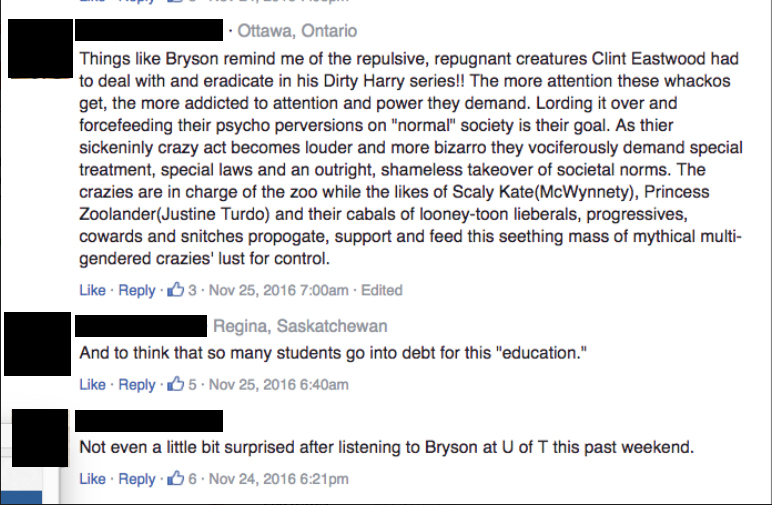 The article criticized Bryson for their role in the forum and made claims regarding events that allegedly took place in Bryson’s classroom 25 years ago. Some of the comments have since been removed due to inflammatory content. Due to the level of personal and professional attacks that Bryson has been receiving, UBC’s Social Justice Institute has posted a petition on their website in support of Bryson. Since the petition’s posting on December 1, 125 people have signed it, including many UBC professors and other notables from the post-secondary academic community. Dr. Angela Redish, the provost of the university, has since released a statement expressing UBC’s support for Bryson given the National Post article and the hate that Bryson has received. “The goals of Bill C-16 include ‘to extend protection against hate propaganda…to any section of the public that is distinguished by gender identity or expression.’ This article encourages the reverse,” wrote Redish in the statement. She notes that the university aims to vigorously defend academic freedom and the right of its faculty members to engage in discourse, especially without being attacked for doing so. Dr. Neil Guppy, who is the senior advisor to the provosts on issues of academic freedom, further responded on the behalf of the university. “Being attacked for professional opinions that Dr. Bryson was offering at what I take to be an academic forum would certainly be an infringement of Dr. Bryson’s freedom in the sense of individuals trying to repress Dr. Bryson’s ability to speak clearly and strongly on important issues,” said Guppy. Although Guppy can’t speak to the potential repercussions to the specific people that have directed hateful comments towards Bryson, he noted that UBC Campus Security has been contacted. Bryson noted that despite the extreme amount of hate, they have also received a large influx of positive messages from supporters both friends and strangers. “Academic freedom is a cornerstone for the university, it's something that we highly value and need to defend vigorously, we all need to defend vigorously, and this clearly was an infringement of her academic freedom and the kinds of attacks that have been levelled at her,” said Guppy. Jordan Peterson has not publicly commented on this matter at this time.